A couple who decided several hours into a cruise that it wasn’t right for them left the ship in the wee hours of the morning and sought a full refund for the trip they’d willingly abandoned. They say their story is a cautionary one, but they may not understand the lesson to be learned. They claim that of particular interest to them was a line in the cruise line’s promotional material indicating that their room would have air conditioning. But when they arrived at their room on embarkation day, they found it to be uncomfortably warm and stuffy. In quick succession, Rutt discovered several other problems, including a burnt-out light bulb and mold in the corner of the shower. Upon attempting to take their complaints to the crew, the pair ran into a problem: Given that the ship was not set to sail until the next morning, there were few actual crew members on board. Eventually, the onboard manager did accompany Rutt and her husband to the stateroom in question, agreed that it was stuffy, and said that they would address the problems in the morning. By morning however, the couple had decided they no longer wanted to set sail on the Elegance. Fearing they might spend the entire trip sweltering, and put off by the other issues they’d had, they decided to call it quits. They e-mailed their contact at the cruise company, saying, “At this point, we just want to get off the boat as soon as possible, and get a complete refund. We will not be continuing on the cruise tomorrow and will speak to the first staff member we can locate tonight or at first light.” They disembarked at 7 a.m., with the help of the onboard manager, apparently assuming they would be able to get a refund of the $3,500 they’d paid for the ill-fated trip. Do The Cruisers Deserve A Refund? By now, most regular cruisers no doubt know that this story did not have a happy ending for Rutt and her spouse. As per the company’s policy, the fact that the couple had left the ship before giving the staff a chance to resolve the problem meant they would not be receiving a refund, full or otherwise. Stunned by this development, Rutt contacted her credit card company but found that they, too were unable to issue a refund under the circumstances. Eventually, she turned to Elliott Advocacy, a nonprofit organization that offers free advice to consumers in need and often advocates on their behalf. 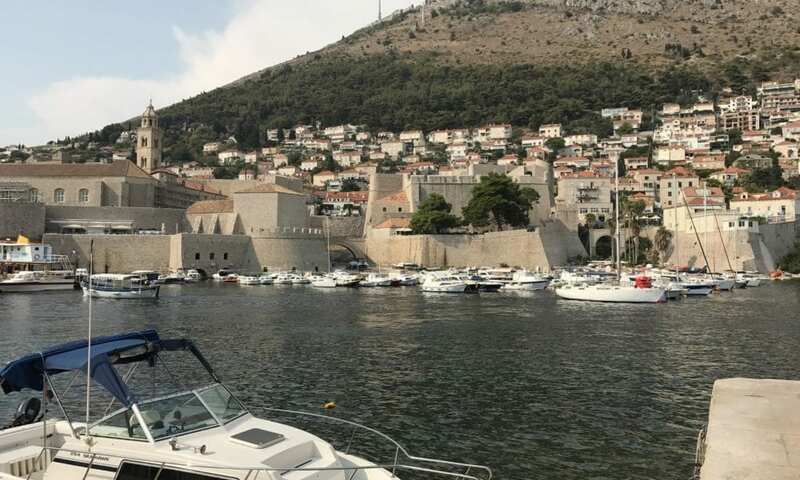 However, after a rep from the group reviewed the information, they were left with no choice but to agree with the cruise line in believing that Rutt hadn’t given Sail Croatia an opportunity to address their concerns before disembarking. Do you believe the couple in question is deserving of a refund? What would you have done under the circumstances?